Thanks to your donations, we are able to provide concrete aid and lasting solutions to thousands of children in need. Together, we can defend their right to a happy childhood and a better future. Help protect children affected by a specific humanitarian crisis or allow us to assign your donation where it is most needed by choosing the general support section. By becoming a sponsor, you can make a lasting difference to the future of children living in hardship. For as little as 1 franc per day, you can provide housing and a safe environment for three children who have experienced abuse. You do not support one child but several. You provide long-term support to children. We support the children directly and you are right by their side with us. Your contributions help ensure lasting security for children. 86% of the donations go directly to our child relief projects. Your sponsorship is for an initial period of one year. However, you may cancel it at any time. 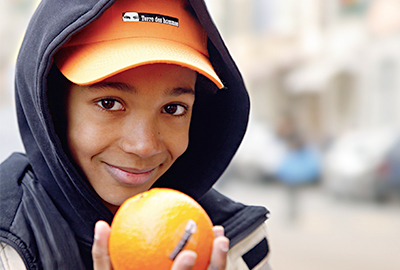 By becoming a patron, you stand up and help Terre des hommes fight for the respect of the rights of the child. Through your commitment, you also become an ambassador for children's rights. Thanks to your annual commitment of CHF 75.-, you help provide children with the decent living conditions to which they are entitled. Get involved in children’s rights. Our quarterly magazine, Courage, to keep you informed of our projects and activities on the ground. In early February of each year, you will receive a certificate showing your donations for tax deduction purposes. We accept payment by credit card, Postfinance, payment slip and LSV. Will my donation really be used to help children in need? Yes, the use of all donations and expenses is monitored. The ZEWO certificate guarantees that we are a nonprofit charity. 86% of the donations goes directly to our child relief projects, 14% is used for the functioning of our headquarters and for communication and fundraising campaigns. You can make a donation via e-banking with the IBAN CH41 0900 0000 1001 1504 8, online under www.tdh.ch/donate, by payment slip CCP 10-11504-8 or telephone 058 611 06 11. 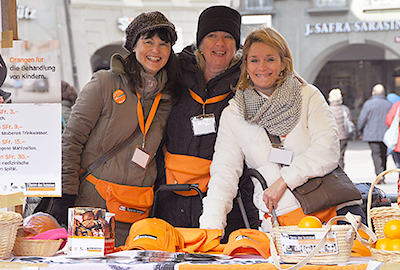 There is also the possibility to create your own fundraising campaign under MyTdh.ch. Can I make a donation for a country where you do not have any projects? We place top priority on respecting donors’ wishes. In order to do effective, lasting work, Tdh focuses its efforts and resources in projects in around 30 countries. We therefore suggest that you support a project in one of these countries.If your donation is not for a specific project, it will go towards helping children who need it the most. Why don’t you offer the possibility to sponsor an individual child? It runs the risk of creating and reinforcing a paternalistic vision of assisting children. 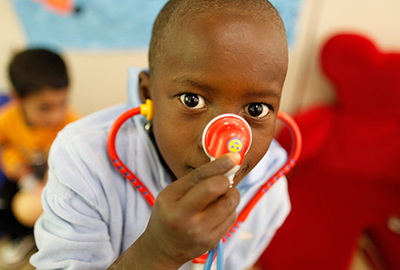 All children must have access to an environment that meets their needs in order to have healthy development. Through general donations and sponsorship, you can support a project, a country or an issue close to your heart. You are then supporting the entire child protection system. How can I make a donation after a specific event (marriage, birth, etc.)? You can arrange a fund collection during a specific event, for example at a wedding or memorial service. To do so, simply call our donation service on +41 58 611 0611 and provide them with the following details: name of the married couple or the deceased and the contact details of the person organising the collection. The latter will receive an update each fortnight informing them of the amount received. There are multiple ways to help children and support our work. Put your skills to use and devote some of your free time to helping children. Tailor-made programs for philanthropists intersted in supporting our work. 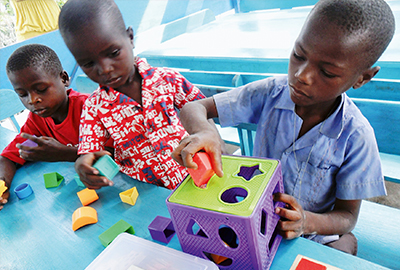 Discover the different forms of partnerships which can help children in need. Every year, we organise several major events throughout the country.